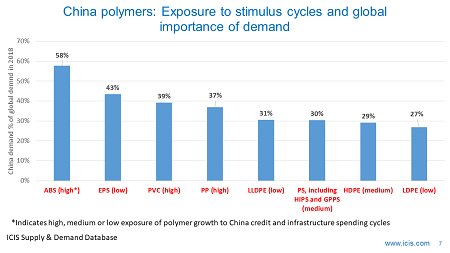 WE HELD our 8th World Polyolefins Conference in Vienna last week where I presented this paper on the China market. 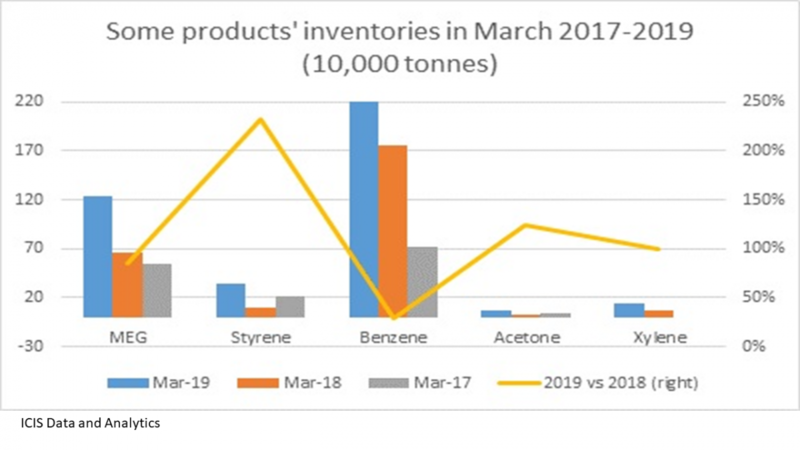 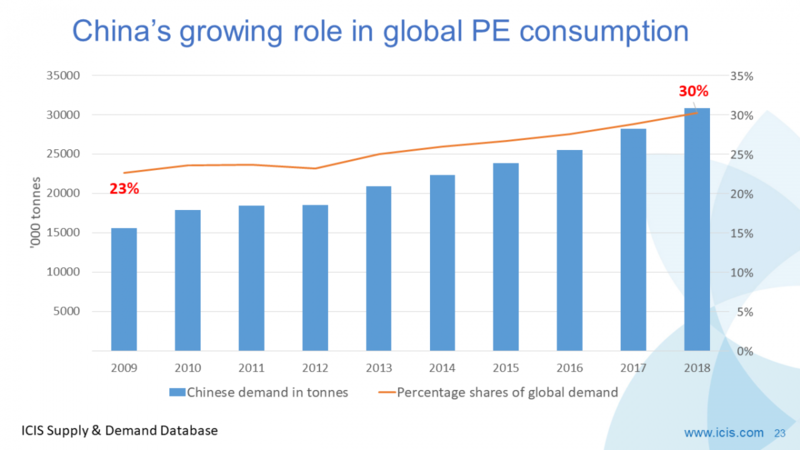 Polymers that go into durable end-use applications in China, such as PP, are more vulnerable to credit cycles and the decline in GDP growth than is the case with polymers such as PE. 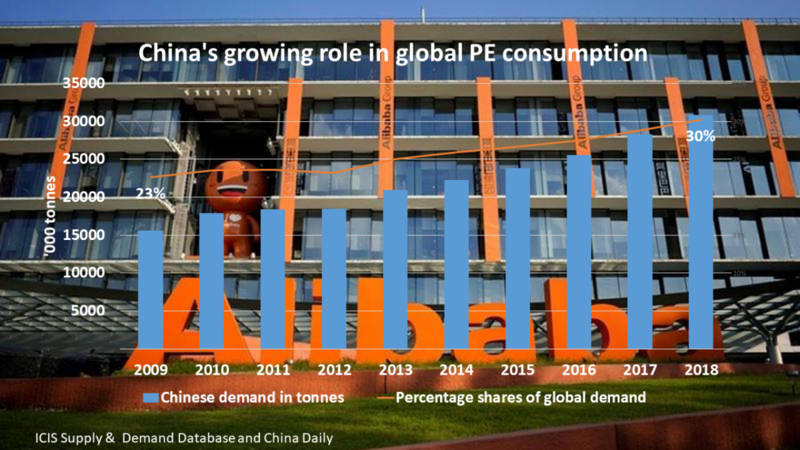 PE is of course very heavily used in non-durable, single use packaging applications. 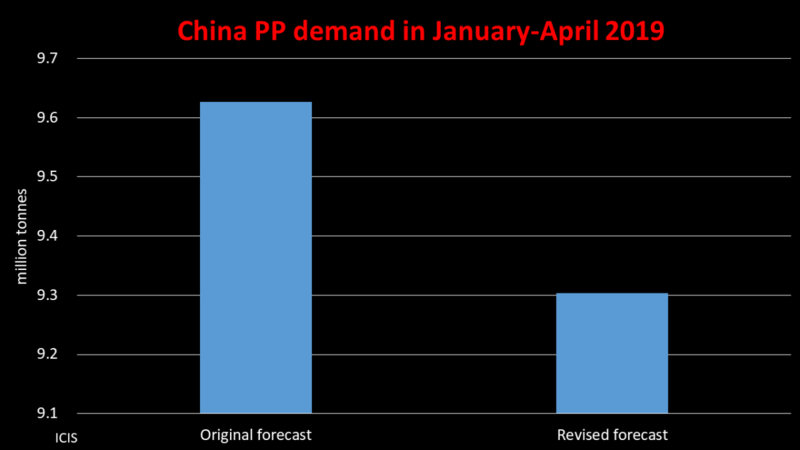 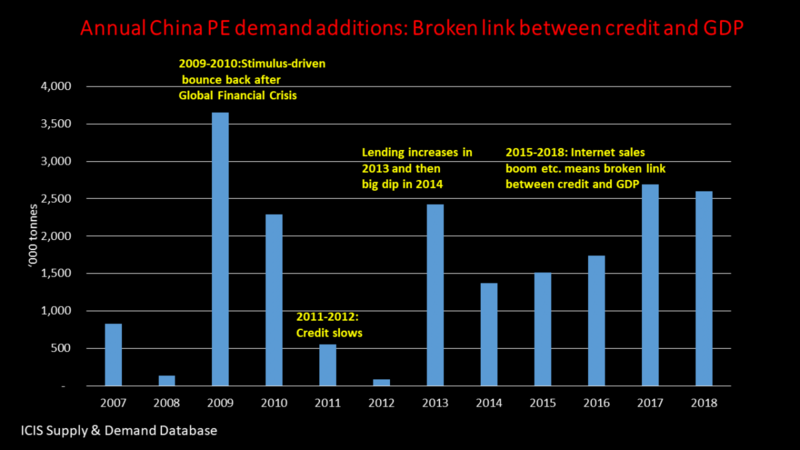 Click here for the latest updated forecasts for PP and PE demand growth in China in 2019-2025. 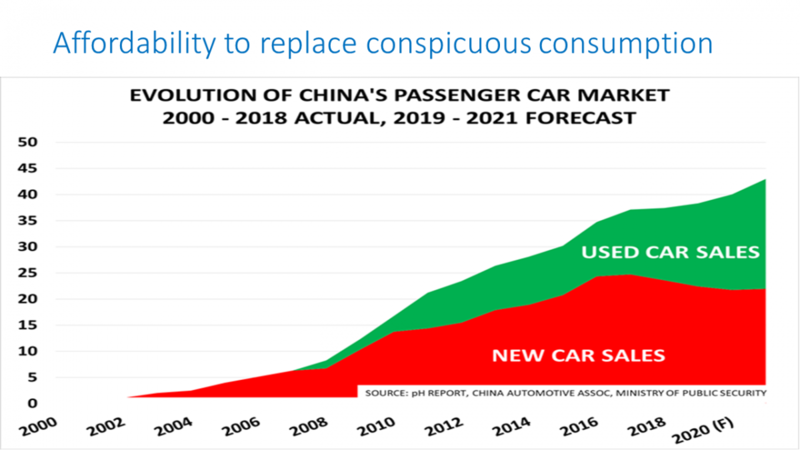 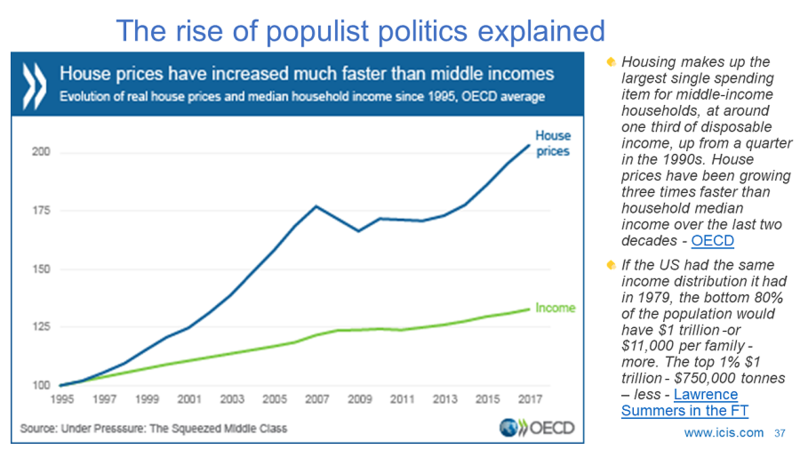 Whereas PP growth will decline as China’s population ages and as the sale of new autos declines, PE growth will surprise on the upside. 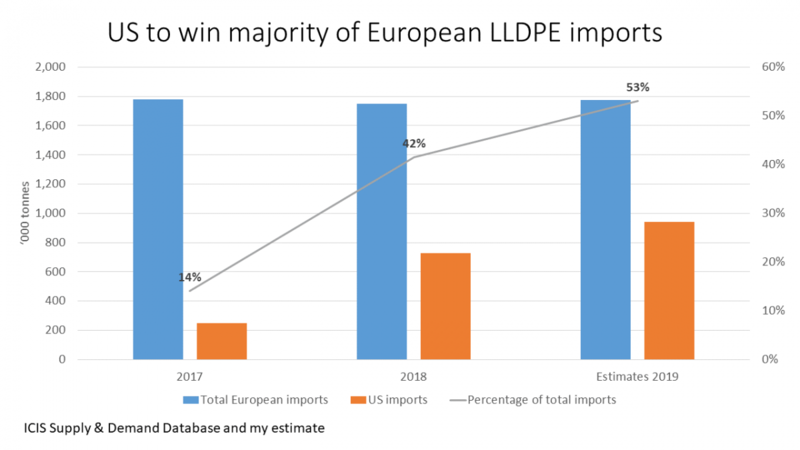 The paper also covered my latest thinking on the trade war/Cold War between the US and China and how this will completely reshape global petrochemicals trade flows and investment decisions.